Arbonne International, LLC is a direct-selling company that operates in the United States, Canada, Australia and the United Kingdom. Arbonne has been developing and distributing botanically-based skin care products for millions of customers around the world since 1980. Arbonne channels their product to the consumer through a network of more than one million Independent Consultants. The product line has grown to more than 300 skin care, color, nutrition, weight loss, and aromatherapy products as well as more than over 50 seasonal products each year. Learn more at arbonne.com. Arbonne has to manage the growing demand for their over 300-item product line. To do so they rely on state-of-the-art warehouses and optimized shipping facilities to provide their product to consultants and customers. Arbonne found that their one distribution facility in Irvine, California just couldn’t keep up with the increasing demand. They decided that the construction of a second, more centrally located distribution facility was an essential requirement. However, the addition of another facility would require a shipping application that would integrate easily with their business system provided by Queen City Software, and handle their shipment volumes. When Arbonne made the decision to invest in a state-of-the-art automation system for the Irvine facility, they selected various suppliers to evaluate their operational requirements and implement a turn-key solution. A key component of the proposed solution was the selection of Queen City Software’s QC Enterprise™ Warehouse Control System (WCS) software. Queen City Software provided the order fulfillment and material handling integration services for the DPI solution with ConnectShip as the shipping engine for the QC Shipping Management System (QC SMS™) module. A strategic factor in the selection of the QC Enterprise™ WCS software was the necessity to partner with a single software provider that could provide a modular, scalable and configurable solution to accommodate each site’s unique requirements. This would allow the sites to manage the different material handling layout and picking methodologies (paper, pick to light, RF) through simple configuration changes, while also maintaining identical operational functionality. With the implementation of the new material handling and warehouse control systems at the Irvine facility, Arbonne was able to significantly increase order processing capacity. ConnectShip™ Toolkit was the shipping application that could handle all of those requirements and much more. ConnectShip Toolkit provided the ability to manage the shipping process at multiple locations. With a minimum processing capacity of 40,000 transactions per hour, ConnectShip Toolkit could easily handle the 35,000 packages/day processed out of California and the 20,000 package/day out of Indiana. 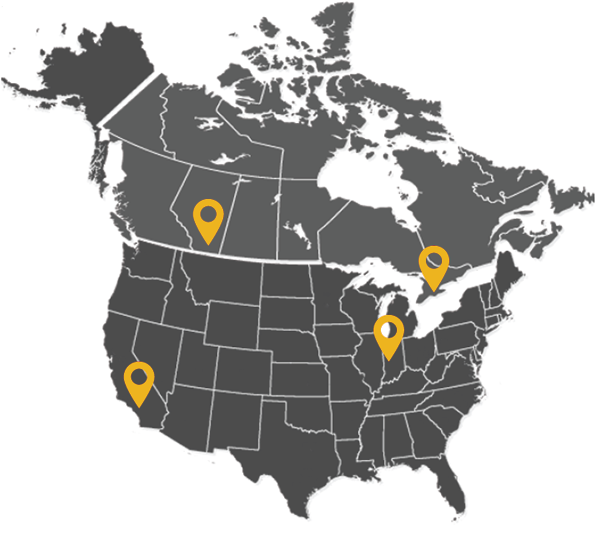 To better serve their Canadian customers, Arbonne first partnered with a third party logistics provider in Mississauga, Ontario, then later added a new distribution center in Calgary, Alberta to manage their distribution operations in Canada. QC Software was once again the WCS solutions provider for both. Implementation of the QC SMS™ module relied on ConnectShip to achieve a consistent manifesting process at all four DC’s. Arbonne is able to continue their growth into international markets relying upon ConnectShip for global carrier compliance. The next step was to integrate the ConnectShip technology, Progistics™, to manage the anticipated increase in shipping volume expected at the newly automated California facility as well as the additional warehouse in Indiana. Following Phase II of the Irvine implementation, which included integration of the two existing pick lines, ConnectShip was integrated by QC Software to achieve complete multi-carrier compliance. Phase III of the Irvine installation required implementation of QC SMS to streamline the shipping process by providing a single shipping system to process all orders while still using multiple carriers. Queen City Software integrated QC SMS (powered by ConnectShip), a tool that provides reliable parcel and LTL shipment manifesting which can be integrated into normal operations to streamline daily shipping routines. With QC SMS in place to help select the most cost-effective shipping method and ConnectShip to support multiple carriers, operators at Arbonne no longer would need to manually separate orders by carrier. Cost savings were realized with the installation of an automated print and apply system which eliminated the labor intensive process of manually weighing and applying shipping labels to each carton. ConnectShip generates the shipping label data, while QC Software’s applications facilitate communication between the printers, scanners, scales, print and apply system, etc. Cartons now flow from packing to the proper dock door, based on carrier and service, without manual intervention. In July 2006, Arbonne opened a centrally located 208,000 square foot facility in Greenwood, Indiana which now services approximately two-thirds of their US shipments. QC Software worked with Arbonne to integrate ConnectShip into the new facility to handle the package volume. Even with as many as 20 concurrent users, ConnectShip Toolkit can process more than 320,000 shipping transactions per day, as well as provide the ability to manage the shipping process of both facilities from one central location.